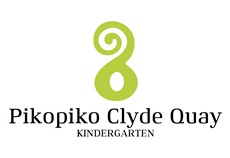 Pikopiko Clyde Quay Kindergarten is located in the inner city suburb of Mount Victoria. We are on the grounds of Clyde Quay School, and share the playground with the school children, which helps the kindergarten children develop knowledge and connections with the school. Older siblings are able to visit, and whānau involvement is encouraged. These factors encourage a smooth transition to kindergarten and then to whatever school children go to when they turn five. Our position within a school allows our children to observe and learn all about the routines of the older children, so they confidently anticipate going to school. The diverse, multicultural kindergarten whānau is drawn from both the local and wider Wellington community and families have developed a supportive and friendly network. Teachers are passionate about providing an inclusive environment that recognises the bi-cultural heritage of our country. We also value the added enrichment gained by incorporating the various cultures and talents of our families into the programme. Pikopiko Kindergarten is proud to have a team of 100% qualified registered teachers. Three qualified teachers are present at each session of 30 children. This enables us to provide a high quality programme where children’s individual and group interests are supported and extended. The interests of children are central to our programme, and we plan ways to support children’s learning individually and in groups. We provide a responsive and flexible programme which includes seasonal and cultural celebrations and local events. We welcome the input of our parents and their connections. Children choose their own activities for a large part of the day, but there are times when we gather together as a group. Activities are age-appropriate and there is a focus on encouraging children to become independent thinkers, investigators and explorers who see themselves as competent and capable learners, while having fun. The teaching team believe that programmes have maximum learning possibilities when based on shared decision making (children, teachers, family, and community) .There is a focus on children developing social skills, strategies and empathy, and learning to value being part of a community.